Well this is an unexpected crossover, Crypt of the NecroDancer and The Legend of Zelda are teaming up to bring all the awesome rhythm battles to the world of Hyrule! 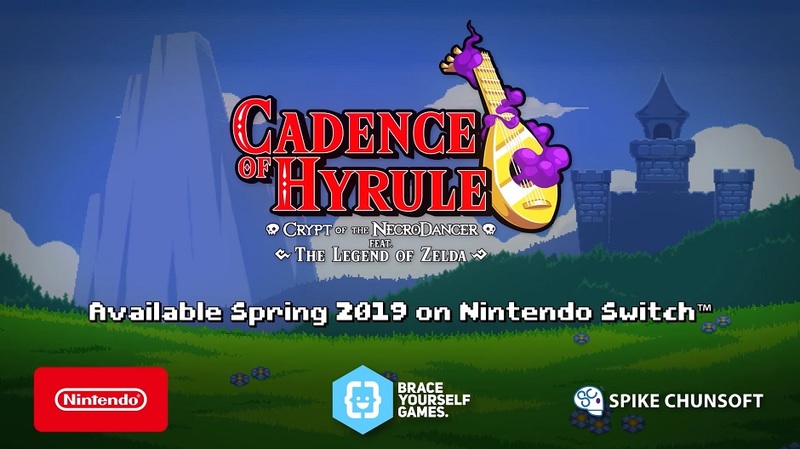 Titled Cadence of Hyrule, the game is being made by Brace Yourself Games and will combine the gameplay from their hit series in a new Zeldafied setting. The trailer shows off numerous enemies from the Zelda franchise you will be up against. It also shows that you will be able to play as both Link and Zelda! Cadence of Hyrule is set to launch this spring so the wait to try this crossover won’t be long! check out the trailer below! What so you think about having a rhythm based Zelda game? Share your thoughts on the trailer below!